A Russian-built rocket started off from the Baikonur cosmodrome Friday, sending a German satellite into orbit and providing a bit of good news for Russia's efforts to boost its profile in the commercial launch industry. The Federal Space Agency said the Dnepr rocket carrying the TerraSAR-X satellite lifted off from the cosmodrome in the steppes of Kazakhstan at 6:14 a.m. (0214 GMT). The state-run German Aerospace Center, which jointly developed the craft along with EADS Astrium GmbH, said in a statement that the satellite reached orbit a short time later. 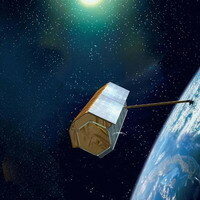 The satellite - whose construction and launch cost an estimated 130 million EUR (US$173 million) - is a new-generation, high resolution remote-sensing, X-band satellite. The craft is set to provide a continuous stream of observation data for at least five years. Friday's launch was only the second successful Dnepr launch since last July, when a Dnepr rocket carrying 18 satellites crashed shortly after takeoff from Baikonur. That crash spread highly toxic fuel over a wide swath of uninhabited territory and prompted Kazakh officials to temporarily ban Dnepr rocket launches. The Dnepr is a conversion of the RS-20 intercontinental ballistic missile, which is code named SS-18 Satan in the West.